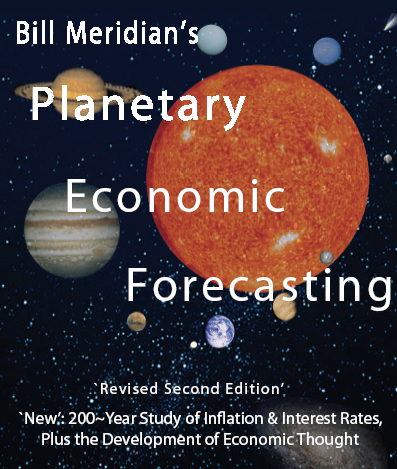 ...Economic forecasting through the use of planetary cycles comes of age with the publication of this book. Planetary cycles have been analyzed in two ways. First, quantitative cycles have been computed based on 200 years of American industrial production data. This unique time series became available in 1988, and has been maintained by the author since. The second analysis is qualitative. Graphs showing commercial crises, recessions, and panics for each sidereal and synodic cycle are presented. Each cycle has been back tested from 1800. Some of the results are contrary to conventional assumptions. For More information on Cycles Research newsletter, go to Services.